The negative effect of downtime is more than what you see in your own lab. The purpose of a service contract is to ensure an instruments’ availability to run at full capacity. Most laboratories should target a > 97% uptime. The cost of downtime—the inability to run critical assays—can be devastating to productivity, product quality, and return on investment in your lab. A priority sample not evaluated can hold a manufacturing batch from release, delaying hundreds of thousands of dollars of material from reaching your customers. An upstream approval that is not granted due to lost instrument time can affect many other departments and employees in the value chain by delaying their actions and losing precious time for desired results. 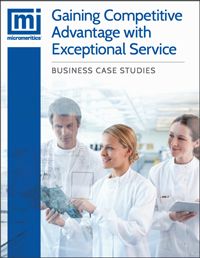 Service contracts are a fiscally sound decision to ensure your lab is running at peak efficiency. They are also cost effective in any critical operation to minimize loss in the lab due to downtime and to prevent erroneous results through contract supplied preventative maintenance options. Our contracts provide priority response and access to remote experts to minimize delay time for resolution of the problem. If your lab values analyst time, contracts provide savings that can calculate to several thousand dollars in each occurrence over “call for service as needed” situations. Below is a direct example of the savings provided by a service contract when compared to a “call for service as needed” situation. 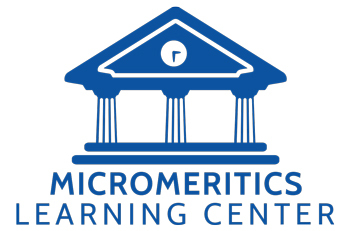 Micromeritics provides a support level to meet any service need you have in your facility. Our worldwide service network is staffed with fully certified and trained professionals. These experts maintain their skills through continual training and access to knowledge bases that ensure your tech has the latest information to maintain your instrument at peak performance. Recommended for mission-critical systems that support production or time sensitive research efforts. PM’s and Emergency Maintenance maximize uptime with no budget uncertainty. This service also comes with PM’s to protect your instrument and minimize downtime. Built-in 25% discounts on unexpected repairs also shelter you from budget impact. Your instrument needs routine maintenance to assure peak performance and asset health. 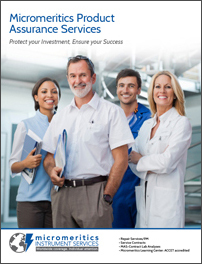 Oxygen is the smart program with lower cost to ensure your investment reaches its life expectancy. Our Oxygen PM program includes all consumables and parts required for routine maintenance and operation. Lower cost plan with continuity of operation within specifications and without any compromise to quality of service. Factory-trained and validated technicians inspect your instrument, evaluate the performance, isolate any problems and repair and or calibrate as requested or covered within the options of your chosen contract. The entire systematic process of testing, diagnosing, and servicing helps to ensure that your Micromeritics instrument will continue to produce precise, accurate, and consistent results all year long. 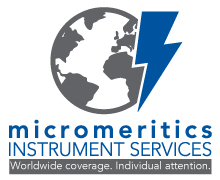 You receive prompt and priority attention as a contract holder from highly skilled service technicians who have extensive diagnostic and repair experience with Micromeritics instruments. When you have a Micromeritics Service Contract you have protection from trying to get budget for repairs as they occur, signatures to approve the work, clearing a technician to come on site, etc. Instead you have expedited response and scheduling, and eliminate the time, stress and logistics of on demand request for an instrument that is down. Our fully equipped and professionally staffed contract laboratory is at your disposal to provide contractual analysis of your critical sample or product. Use our services to assist in method application development, confirm your internal analysis or depend on our lab to provide full support for your project, from concept to final results. Increase the effectiveness of your personnel with our technical training and continuing education courses. Our center is ACCET certified for continuing education so that your staff is provided with a structured, approved and qualified curriculum to maximize their understanding from theory to actual application.